Nestled just off Southern Parkway is one of Washington’s newest developments of Stucki Farms. 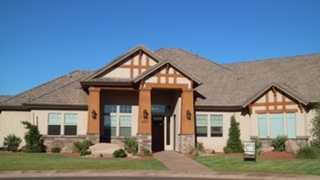 A Master Planned community, Stucki Farms covers nearly 600 acres with an additional 140 acres of open space, parks, lakes and over 3 miles of walking trails. From custom homes the small cottages, Stucki Farms has a variety of prices, styles, and layouts for everyone. You’re greeted by the Farmhouse Welcome Center, a 7-acre amenity area set to be completed in 2017. The development is broken up into different 25 different villages containing a combination of custom homes, homesteads, cottages and residential amenities. There are several lakes spread out throughout the community, parks, and trails. The Homesteads feature modified craftsman homes combining stucco and rock with spacious lots from one quarter acre to 1/2 acre. The homes in the Homestead village feature beautiful views and there are only a few lots left. The Cottages are inspired by Bungalow Courts built along the West Coast in the early 1900s. The Cottages are grouped around common courtyards and features clusters of bungalows and Casitas surrounding beautifully landscaped areas perfect for those that prefer a low maintenance lifestyle. The Cross Roads is one of the newest available villages in Stucki Farms. It’s designed for starter homes or those that prefer to downsize. There are six preferred builders in the area offering a wide range of custom designs, features, finishes and layout options. Stucki Farms also has a wide range of vacation rentals at the Cottages at the Village. 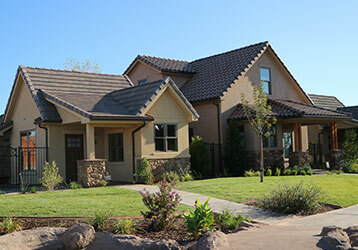 This unique courtyard community is surrounded by beautiful landscape and most homes have a view of the Pine Valley Mountain. Residents and guests enjoy a wide range of recreational activities such as mountain biking, theater, golf, and outdoor entertainment. The Cottages sit on over 19 acres and residents have access to the welcome center, a resort style swimming pool, the Barn Event Center and dozens of walking trails around the open space. Homes range from 530 ft.² to over 1200 ft.² and a perfect for corporate retreats, second homebuyers, single-family properties, family reunions or just a get away. Homes and villages are still being created and developed so this is just a small taste of what is currently available. Prices range from $160,000 to over $600,000 based on size, lot and the Village you choose. There are so many options already available that love to show you in person all of the amazing amenities and benefits to Washington’s newest subdivision, Stucki Farms. Give me a call today.